Lyon is located in the east-central part of France in Auvergne- Rohone-Alpes region. It is placed about 470 kilometres from the capital city – Paris. Lyon is a city frequently visited by students because there are placed numerous universities. Moreover, it is also a place that consists of green areas, such as parks and gardens. The humid subtropical climate provides nice weather almost every day a year. This article will tell more about the city in France. The main sights of Lyon. Lyon is a huge centre of entertainment. It also means that it is a perfect place for people who are looking museums and art galleries. 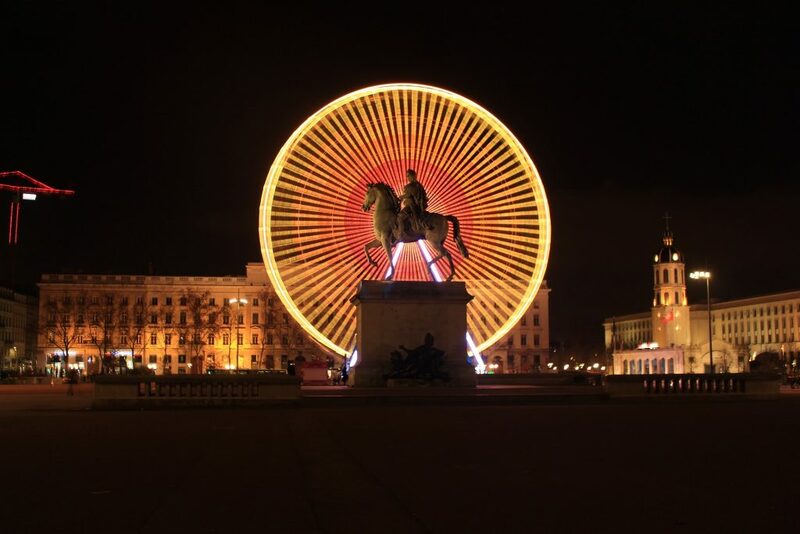 One of those places worth visiting is definitely The Museum of Fine Arts of Lyon located close to Place des Terreaux. The museum is in a possession of numerous historic artefacts, paintings, sculptures and other forms of art. The huge collection consists of elements from ancient Egypt to modern masterpieces created by French as well as international artists. Due to the large number of artefacts, The Museum of Fine Arts of Lyon is considered to be one of the most important fine art museums in Europe. Moreover, it is also the largest art museum in France. Some examples of the masterpieces that can be found in the museum are: ‘Personification of the Saone and The Rhone’ painted by Pierre Puvis De Chavannes and ‘Virgin and Child with Angels’ by Quentin Metsys. The museum is opened daily from 10am to 6pm. How to get to Lyon? When you are already in France, you may reach the city by train or by bus. However, if you live rather far from the city, it is advisable to travel by plane. It is the fastest way of travelling to the city. The city is served by Lyon-Saint Exupery Airport that is also known as Lyon Satolas Airport. The airport is placed about 20 kilometres from Lyon city centre and it is the fourth busiest airport in France. It provides domestic as well international flights. Where to overnight during your stay in Lyon? The travellers who will arrive in the city will not have any problems with finding the right property to overnight. The city provides more than 200 places to stay in different standards. The most popular forms of accommodation are apartments, hotels as well as B&B hotels. There are also placed inexpensive hostels available for less demanding customers. Lyon is also a home for numerous well-known hotel chains that are loved by loyal customers. Some of the examples are: B&B Hotels, Campanile, Ibis, Novotel and Mercure.